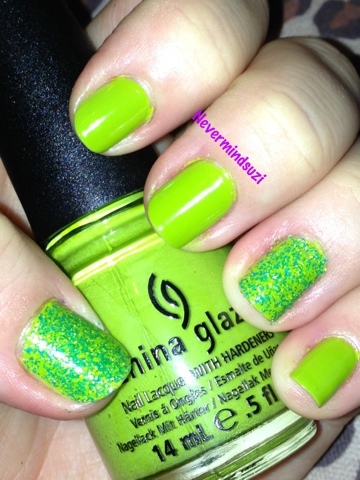 So this is a not so Christmassy mani, but it is from the new China Glaze Cirque de Soleil collection. 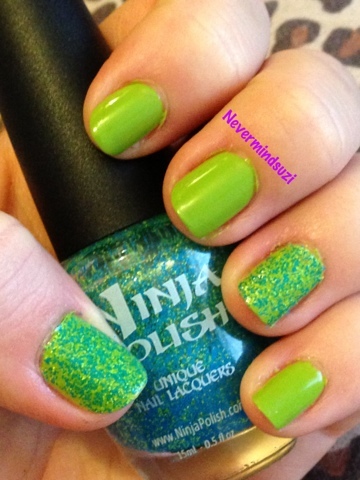 A chartreuse green that I am LOVING! 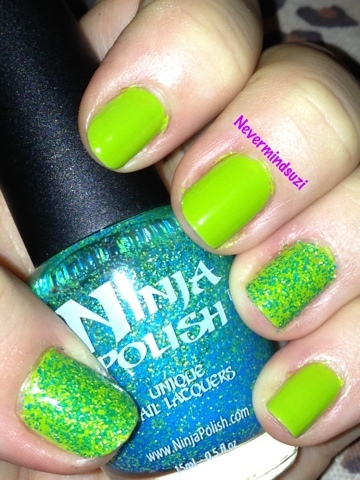 Fairly similar but with more green tones than yellow in comparison to OPI Did It On 'Em, from the Nicki Minaj collection. I also thought this would make the PERFECT undies for Ninja Polishes Original FLOAM! 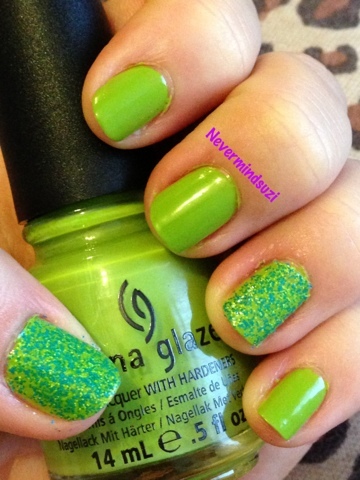 Floam is a clear base full of blue and green matte glitter polishes, and it's pretty special!